Imagine a persistent focus group of all the right audience segments sitting outside your office, with no prompting needed for rich discussion. You have instant access to longitudinal data about your customers’ emotions, opinions, and intent at the push of a button. Top it off with the ability to integrate quantitative data into these rich, qualitative data sets to examine growth trends. This isn’t just a pretty picture; this is what you get when you use social listening for audience research and conversation analysis. Higher education can’t afford to launch strategic marketing initiatives that aren’t firmly rooted in data. And sources of marketing data are growing faster than some of us are able to keep up with. Traditional market research methods such as surveys, focus groups, and interviews are reliable, rich sources of data, but they can be costly and time-consuming to implement. But, the data is important because it helps us understand the mindset and decision-making process of our target audiences. As in every field, new methods surface and gain adoption. Mobile surveys, online communities, social media analytics, and text analytics are four new methods that focus on gathering data unobtrusively, without putting participants in a sterile research setting. This approach offers the benefit of increased authenticity and openness. Social listening is one of the new methods that should be integrated into the research and data practice of most marketing organizations. Like focus groups and interviews, it helps you better understand your target audiences. It can be a stand-alone research method, or you can use it to conduct exploratory research to inform more traditional methods. For example, you may analyze the conversation about “college search” to determine what concerns students and parents have and the terminology they’re using. You can also use the results from the social listening analysis to guide questions for a focus group or identify specific words to use in a survey. Or it can help you better understand how a competitive institution compares to your own and your differentiators. When you have a clear understanding of your institution's target audience you can be more impactful in everything from outreach to marketing to communications. By identifying what prospective students, current students, and alumni are interested in, how they communicate, and what’s important to them, you can profile these audiences to increase the effectiveness of their interactions with these groups. Using social listening to conduct audience analysis and online conversation research is a flexible and direct way to gain insight so you're better able to respond and create content that resonates with your audience. A successful content marketing strategy relies on audience insights. Formal research methods are useful in identifying core topics and questions to guide your content marketing efforts, but the content ideas you obtain through social listening are authentic ideas that are gathered in real life and real time. Social listening for market insights extends to many areas of campus, including enrollment management, marketing and communications, academic programs, and alumni relations/advancement. When you glean social consumer insights from a mixed methods study of a strategically chosen sample of online conversations, you can answer strategic questions that help you meet your institution's goals. When in the application cycle prospective students are most likely to share their experience on social media—and what prompts their sharing. How high school students and their parents perceive the liberal arts. What the positive and negative opinions that prospective, current, and past students of online master’s degree programs express about their educational experiences. What working adults think about when they consider going back to school. In a case study of Spring Hill College (SHC) in Mobile, Alabama, we used conversation analysis to help SHC uncover and define their brand so they could move forward and build a content marketing strategy. SHC wanted to know what their audience was saying about them. We segmented their audience and searched for emerging topics and trends. Our analyst found that "family" surfaced as a prevalent topic among all of their audiences—potential students and parents, current students and parents, alumni, and the community. What thoughts, feelings, and emotions do alumni associate with a particular university? What do our young alumni spend their money on? How do they talk about spending money? What topics are alumni talking about? What philanthropic causes do alumni support? Once you have the research and analysis to answer these questions, you can determine how it relates to your institution and what you can do to leverage the data and turn it from analysis to strategy to engagement. Cardinal Stritch University partnered with Campus Sonar to monitor the alumni conversation to increase connections and engagement. Through our social listening data analysis, we identified active alumni Stritch hadn't identified and increased their alumni affinity with real-time, authentic engagement. Alumni identity is another way to use audience analysis. It helps colleges and universities accelerate philanthropy by using social psychology and data science to measure how deeply alumni associate their own self-identity with their alma mater. 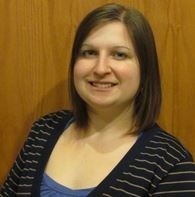 Research from Dr. Jay Le Roux Dillon shows that graduates with high levels of alumni identity are far more likely to engage in giving and volunteering when compared to alumni who feel less connected, and that alumni identity is open to influence through social media interactions. Social listening offers access to the alumni conversation so you can better understand your alumni's connection to your institution. Campuses that embrace social listening as a research technique are on their way to faster insights about their audiences that empower them to develop data-informed strategies. At Campus Sonar, we often think of our audience analysis as eavesdropping on an online focus group. This focus group doesn’t talk to each other as much as share all of their thoughts and feelings with the internet, meaning the conversation is more honest and genuine than a traditional focus group might be. Planning your research pays off in a few ways. It better equips you to look for relevant insights when you're analyzing your data and it helps you cast an appropriately sized net to gather a robust data set so you can reach your goals. That being said, the first thing to do in performing audience analysis is to consider your goals. The better defined your goals are, the better your research design will be, and the better outcomes you'll have. Make sure your goal is precise and attainable, and you have clearly defined, achievable objectives. Once you understand your goals, you can design your research by considering what you want to analyze—an audience or a topic. The answer determines the type of research you perform. Identify a target population (e.g., current students or alumni) and analyze all—or a sample of—their conversations over a defined period of time. Identify a target topic (e.g., a specific academic program, your campus, or shared life experience) and analyze the mentions of that topic over a defined period of time. Your research plan equips you to look for relevant insights during the analysis phase—and keeps you from being distracted by irrelevant conversations. It should include the scope of your research and the methods you plan to use to gather data. Your scope should align with your research goals—helping you identify the kind of data you're looking for and how much you need. Decide if you'll conduct your research manually or use social listening software. Defining your research methods and tools helps you determine what limitations there might be. Now you're ready to collect your sample and organize your data set. If you're performing audience research you identify users in your audience groups to collect conversation samples. If you're performing conversation analysis, you build a query to find all of the variations and spellings of the topic you're researching. How you analyze your data depends on your research goals. Organize it using categories or tags and tools like charts and graphs, word clouds, or top authors and mentions to identify trends and dig further into the data. Then look at your data as a whole to see what stands out. Determine how your research compares to your goals, and if there's anything missing you thought you would see. All of these insights and opportunities can help you identify trends and patterns that you may not have anticipated. Social audience intelligence can uncover insights that aren't uncovered via traditional research methods, and it's an impactful way to gain insights into your audience. Using social audience intelligence removes the potential barriers of traditional research methods and amplifies your audience's unfiltered voice. Are you ready to listen? 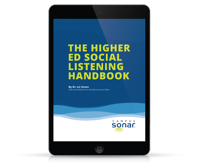 Understand how to use audience research and conversation analysis, as well as everything else related to social listening for higher education in our eBook—The Higher Ed Social Listening Handbook. The handbook walks you through why social listening matters in higher education along with key metrics, how-to guides, and over a dozen campus case studies. There are people out there spreading the word about Stritch and the good work we're doing. People we wouldn't be able to find on our own, without the help of Campus Sonar.